Modest Petrovich Mussorgsky (also spelled Musorgsky, Moussorgsky Russian: Модест Петрович Мусоргский, tr. Modest Petrovič Musorgskij) (March 21 [O.S. March 9], 1839 – March 28 [O.S. March 16], 1881), one of the Russian composers known as the Five, was an innovator of Russian music in the romantic period. He strove to achieve a uniquely Russian musical identity, often in deliberate defiance of the established conventions of Western music. Many of his works were inspired by Russian history, Russian folklore, and other nationalist themes, including the opera Boris Godunov, the orchestral tone poem Night on Bald Mountain, and the piano suite Pictures at an Exhibition. Mussorgsky was born in Karevo, Russia in the province of Pskov, 400 kilometers (249 mi) kilometres south-south-east of Saint Petersburg. His wealthy and land-owning family, the noble family of Mussorgsky, is reputedly descended from the first Ruthenian ruler, Rurik, through the sovereign princes of Smolensk. At age six Mussorgsky began receiving piano lessons from his mother, herself a trained pianist. His progress was sufficiently rapid that three years later he was able to perform a John Field concerto and works by Franz Liszt for family and friends. At 10, he and his brother were taken to Saint Petersburg to study at the elite Peterschule (St. Peter's School). While there, Modest studied the piano with the noted Anton Herke. In 1852, the 12-year-old Mussorgsky published a piano piece titled "Porte-enseigne Polka" at his father's expense. Music remained important to him, however. Sutgof's daughter was also a pupil of Herke, and Mussorgsky was allowed to attend lessons with her. His skills as a pianist made him much in demand by fellow-cadets; for them he would play dances interspersed with his own improvisations. In 1856 Mussorgsky–who had developed a strong interest in history and studied German philosophy–successfully graduated from the Cadet School. Following family tradition he received a commission with the Preobrazhensky Regiment, the foremost regiment of the Russian Imperial Guard. In 1858, within a few months of beginning his studies with Balakirev, Mussorgsky resigned his commission to devote himself entirely to music. He also suffered a painful crisis at this time. This may have had a spiritual component (in a letter to Balakirev the young man referred to "mysticism and cynical thoughts about the Deity"), but its exact nature will probably never be known. In 1859, the 20-year-old gained valuable theatrical experience by assisting in a production of Glinka's opera A Life for the Tsar on the Glebovo estate of a former singer and her wealthy husband; he also met Lyadov and enjoyed a formative visit to Moscow –after which he professed a love of "everything Russian". In spite of this epiphany, Mussorgsky's music still leaned more toward foreign models; a four-hand piano sonata which he produced in 1860 contains his only movement in sonata form. Nor is any 'nationalistic' impulse easily discernible in the incidental music for Serov's play Oedipus in Athens, on which he worked between the ages of 19 and 22 (and then abandoned unfinished), or in the Intermezzo in modo classico for piano solo (revised and orchestrated in 1867). The latter was the only important piece he composed between December 1860 and August 1863: the reasons for this probably lie in the painful re-emergence of his subjective crisis in 1860 and the purely objective difficulties which resulted from the emancipation of the serfs the following year –as a result of which the family was deprived of half its estate, and Mussorgsky had to spend a good deal of time in Karevo unsuccessfully attempting to stave off their looming impoverishment. By this time, Mussorgsky had freed himself from the influence of Balakirev and was largely teaching himself. 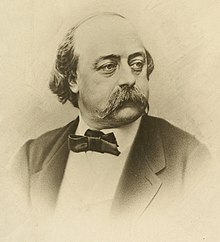 In 1863 he began an opera –Salammbô– on which he worked between 1863 and 1866 before losing interest in the project. During this period he had returned to Saint Petersburg and was supporting himself as a low-grade civil-servant while living in a six-man 'commune'. In a heady artistic and intellectual atmosphere, he read and discussed a wide range of modern artistic and scientific ideas – including those of the provocative writer Chernyshevsky, known for the bold assertion that, in art, "form and content are opposites". Under such influences he came more and more to embrace the ideal of artistic 'realism' and all that it entailed, whether this concerned the responsibility to depict life 'as it is truly lived'; the preoccupation with the lower strata of society; or the rejection of repeating, symmetrical musical forms as insufficiently true to the unrepeating, unpredictable course of 'real life'. 'Real life' affected Mussorgsky painfully in 1865, when his mother died; it was at this point that the composer had his first serious bout of either alcoholism or dipsomania. The 26-year-old was, however, on the point of writing his first 'realistic' songs (including 'Hopak' and 'Darling Savishna', both of them composed in 1866 and among his first 'real' publications the following year). 1867 was also the year in which he finished the original orchestral version of his Night on Bald Mountain (which, however, Balakirev criticised and refused to conduct, with the result that it was never performed during Mussorgsky's lifetime). Mussorgsky's career as a civil servant was by no means stable or secure: though he was assigned to various posts and even received a promotion in these early years, in 1867 he was declared 'supernumerary' –remaining 'in service', but receiving no wages. Decisive developments were occurring in his artistic life, however. Although it was in 1867 that Stasov first referred to the 'kuchka' ('The Five') of Russian composers loosely grouped around Balakirev, Mussorgsky was by then ceasing to seek Balakirev's approval and was moving closer to the older Alexander Dargomyzhsky . Ivan Melnikov as the title character in Boris Godunov, 1874. Under the influence of this work (and the ideas of Georg Gottfried Gervinus, according to whom "the highest natural object of musical imitation is emotion, and the method of imitating emotion is to mimic speech"), Mussorgsky in 1868 rapidly set the first eleven scenes of Gogol's Zhenitba (The Marriage), with his priority being to render into music the natural accents and patterns of the play's naturalistic and deliberately humdrum dialogue. This work marked an extreme position in Mussorgsky's pursuit of naturalistic word-setting: he abandoned it unorchestrated after reaching the end of his 'Act 1', and though its characteristically 'Mussorgskyian' declamation is to be heard in all his later vocal music, the naturalistic mode of vocal writing more and more became merely one expressive element among many. Fyodor Komissarzhevsky as The Pretender in Boris Godunov. By the time of the first production of Boris Godunov in February 1874, Mussorgsky had taken part in the ill-fated Mlada project (in the course of which he had made a choral version of his Night on Bald Mountain) and had begun Khovanshchina. Though far from being a critical success - and in spite of receiving only a dozen or so performances - the popular reaction in favour of Boris made this the peak of Mussorgsky's career. Detail from Ilya Repin's celebrated portrait of Mussorgsky, painted in the hospital from March 2–5, 1881, only a few days before the composer's death. From this peak a pattern of decline becomes increasingly apparent. Already the Balakirev circle was disintegrating. Mussorgsky was especially bitter about this. He wrote to Vladimir Stasov, "[T]he mighty Koocha has degenerated into soulless traitors." In drifting away from his old friends, Mussorgsky had been seen to fall victim to 'fits of madness' that could well have been alcoholism-related. His friend Viktor Hartmann had died, and his relative and recent roommate Arseny Golenishchev-Kutuzov (who furnished the poems for the song-cycle Sunless and would go on to provide those for the Songs and Dances of Death) had moved away to get married. While alcoholism was Mussorgsky's personal weakness, it was also a behavior pattern considered typical for those of Mussorgsky's generation who wanted to oppose the establishment and protest through extreme forms of behavior. One contemporary notes, "an intense worship of Bacchus was considered to be almost obligatory for a writer of that period. It was a showing off, a 'pose,' for the best people of the [eighteen-]sixties." Another writes, "Talented people in Russia who love the simple folk cannot but drink." Mussorgsky spent day and night in a Saint Petersburg tavern of low repute, the Maly Yaroslavets, accompanied by other bohemian dropouts. He and his fellow drinkers idealized their alcoholism, perhaps seeing it as ethical and aesthetic opposition. This bravado, however, led to little more than isolation and eventual self-destruction. For a time Mussorgsky was able to maintain his creative output: his compositions from 1874 include Sunless, the Khovanschina Prelude, and the piano suite Pictures at an Exhibition (in memory of Hartmann); he also began work on another opera based on Gogol, The Fair at Sorochyntsi (for which he produced another choral version of Night on Bald Mountain). Grave of Modest Mussorgsky in the Tikhvin Cemetery of the Aleksandr Nevsky Monastery in Saint Petersburg. In the years that followed, Mussorgsky's decline became increasingly steep. Although now part of a new circle of eminent personages that included singers, medical men and actors, he was increasingly unable to resist drinking, and a succession of deaths among his closest associates caused him great pain. At times, however, his alcoholism would seem to be in check, and among the most powerful works composed during his last 6 years are the four Songs and Dances of Death. His civil service career was made more precarious by his frequent 'illnesses' and absences, and he was fortunate to obtain a transfer to a post (in the Office of Government Control) where his music-loving superior treated him with great leniency –in 1879 even allowing him to spend 3 months touring 12 cities as a singer's accompanist. The decline could not be halted, however. In 1880 he was finally dismissed from government service. Aware of his destitution, one group of friends organised a stipend designed to support the completion of Khovanschina; another group organised a similar fund to pay him to complete The Fair at Sorochyntsi. However, neither work was completed (although Khovanschina, in piano score with only two numbers uncomposed, came close to being finished). In early 1881 a desperate Mussorgsky declared to a friend that there was 'nothing left but begging', and suffered four seizures in rapid succession. Though he found a comfortable room in a good hospital –and for several weeks even appeared to be rallying– the situation was hopeless. Repin painted the famous red–nosed portrait in what were to be the last days of the composer's life: a week after his 42nd birthday, he was dead. He was interred at the Tikhvin Cemetery of the Alexander Nevsky Monastery in Saint Petersburg. In 1868/9 he composed the opera Boris Godunov, about the life of the Russian tsar, but it was rejected by the Mariinsky Opera. Mussorgsky thus edited the work, making a final version in 1874. The early version is considered darker and more concise than the later version, but also more crude. Nikolai Rimsky-Korsakov re-orchestrated the opera in 1896 and revised it in 1908. The opera has also been revised by other composers, notably Shostakovich, who made two versions, one for film and one for stage. Khovanshchina, a more obscure opera, was unfinished and unperformed when Mussorgsky died, but it was completed by Rimsky-Korsakov and received its premier in 1886 in Saint Petersburg. This opera, too, was revised by Shostakovich. The Fair at Sorochyntsi, another opera, was left incomplete at his death but a dance excerpt, the Gopak, is frequently performed. One of Mussorgsky's most striking pieces is the single-movement orchestral work Night on Bald Mountain. The work enjoyed broad popular recognition in the 1930s when it was featured, in tandem with Schubert's 'Ave Maria', in the Disney film Fantasia. Among the composer's other works are a number of songs, including three song cycles: The Nursery (1872), Sunless (1874) and Songs and Dances of Death (1877); plus Mephistopheles' Song of the Flea and many others. Important early recordings of songs by Mussorgsky were made by tenor Vladimir Rosing in the 1920s and 30s. Other recordings have been made by Boris Christoff between 1951 and 1957 and by Sergei Leiferkus in 1993. Contemporary opinions of Mussorgsky as a composer and person varied from positive to ambiguous to negative. Mussorgsky's eventual supporters, Stasov and Balakirev, initially registered strongly negative impressions of the composer. Stasov wrote Balakiriev, in an 1863 letter, "I have no use whatever for Mussorgsky. All in him is flabby and dull. He is, I think, a perfect idiot. Were he left to his own devices and no longer under your strict supervision, he would soon run to seed as all the others have done. There is nothing in him." Balakirev agreed: "Yes, Mussorgsky is little short of an idiot." Mixed impressions are recorded by Nikolai Rimsky-Korsakov and Pyotr Ilyich Tchaikovsky, colleagues of Mussorgsky who, unlike him, made their living as composers. Both praised his talent while expressing disappointment with his technique. About Mussorgsky's scores Rimsky-Korsakov wrote, "They were very defective, teeming with clumsy, disconnected harmonies, shocking part-writing, amazingly illogical modulations or intolerably long stretches without ever a modulation, and bad scoring. ...what is needed is an edition for practical and artistic purposes, suitable for performances and for those who wish to admire Mussorgsky's genius, not to study his idiosyncrasies and sins against art." Rimsky-Korsakov's own editions of Mussorgsky's works met with some criticism of their own. Rimsky-Korsakov's student, Anatoly Lyadov, found them to be lacking, writing "It is easy enough to correct Mussorgsky's irregularities. The only trouble is that when this is done, the character and originality of the music are done away with, and the composer's individuality vanishes." Tchaikovsky, in a letter to his patroness Nadezhda von Meck was also critical of Mussorgsky: "Mussorgsky you very rightly call a hopeless case. In talent he is perhaps superior to all the [other members of The Five], but his nature is narrow-minded, devoid of any urge towards self-perfection, blindly believing in the ridiculous theories of his circle and in his own genius. In addition, he has a certain base side to his nature which likes coarseness, uncouthness, roughness.... He flaunts ... his illiteracy, takes pride in his ignorance, mucks along anyhow, blindly believing in the infallibility of his genius. Yet he has flashes of talent which are, moreover, not devoid of originality." Not all of the criticism of Mussorgsky was negative. In a letter to Pauline Viardot, Ivan Turgenev recorded his impressions of a concert he attended in which he met Mussorgsky and heard two of his songs and excerpts from Boris Godunov and Khovanshchina): "Today I was invited to have dinner in old Petrov's house: I gave him a copy of your song, which pleased him greatly [...] Petrov still admires you as enthusiastically as in the past. In his drawing-room there's a bust of you, crowned with laurels, which still bears a strong resemblance to you. I also met his wife (the contralto) [Avdotya Vorobyova-Petrova, who created the role of Vanya in Glinka's A Life for the Tsar]. She is sixty years old... After dinner she sang two quite original and touching romances by Musorgsky (the author of Boris Godunov, who was also present), in a voice that is still young and charming and has a very expressive timbre. She sang them wonderfully! I was moved to tears, I assure you. Then Musorgsky played for us and sang, with a rather hoarse voice, some excerpts from his opera and the other one that he is composing now – and the music seemed to me very characteristic and interesting, upon my honour! Old Petrov sang the role of the old profligate and vagabond monk [Varlaam's song about Ivan the Terrible] – it was splendid! I am starting to believe that there really is a future in all of this. Outwardly, Musorgsky reminds one of Glinka – it is just that his nose is all red (unfortunately, he is an alcoholic), he has pale but beautiful eyes, and fine lips which are squeezed into a fat face with flabby cheeks. I liked him: he is very natural and unaffected, and does not put on any airs. He played us the introduction to his second opera [Khovanshchina]. It is a bit Wagnerian, but full of feeling and beautiful. Forward, forward! Russian artists!! Western perceptions of Mussorgsky changed with the European premiere of Boris Godunov in 1908. Before the premiere, he was regarded as an eccentric in the west. Critic Edward Dannreuther, wrote, in the 1905 edition of The Oxford History of Music, "Mussorgsky, in his vocal efforts, appears wilfully eccentric. His style impresses the Western ear as barbarously ugly." However, after the premiere, views on Mussorgsky's music have drastically changed. Gerald Abraham, a musicologist, and an authority on Mussorgsky: "As a musical translator of words and all that can be expressed in words, of psychological states, and even physical movement, he is unsurpassed; as an absolute musician he was hopelessly limited, with remarkably little ability to construct pure music or even a purely musical texture." See Pictures at an Exhibition for an orchestral version of the work. ^ Letter to Vladimir Stasov, October 9, 1875. As quoted in Rimsky-Korsakov, My Musical Life, 154-155, footnote 24. ^ Volkov, Solomon, tr. Bouis, Antonina W., Saint Petersburg: A Cultural History (New York: The Free Press, 1995), 87. ^ Quoted in Sovietskaia muzyka (Soviet music), 9 (1980), 104. As quoted in Volkov, 87. This article is licensed under the GNU Free Documentation License. It uses material from the Wikipedia article "Modest Mussorgsky. Allthough most Wikipedia articles provide accurate information accuracy can not be guaranteed. © 2019 classiccat.net. All rights reserved.